After many years of communicating with the addicts and their relatives we realized the following. Despite the fact that nowadays, when information about addiction available to everybody, most of the people, oddly enough, know little about drug addiction as a disease and often underestimate its seriousness and destructiveness to the body. And in this regard, they just don't realize how deep, diverse and the same time complex must be the treatment. Most people believe that drug addiction is rather a bad habit than an illness. But in fact, this is a very serious disease that affects all body systems - from the higher nervous activity to intracellular metabolism. That is why addiction must be considered as one of the most intractable diseases. Everyone knows that our organism is endowed with protective systems which protect us from germs, viruses and other disease-causing factors. To such protective systems can be attributed a system that produces ingenious “hormones of pleasure” - endorphins and enkephalins. The purpose of which is to protect the body from such harmful factors as stress, pain, shock. For instance, in case of injury or disease the endorphins protect the whole body and especially the nervous system from excessive pain, which in its turn may be very detrimental by itself. Sufficient level of endorphins makes a person feel good, optimistic, productive, active during a day and provides good quality sleep during a night. External narcotics destroy the ingenious narcotic system and thus leave the person without its protection. Foreign drugs displace the body's own endorphines and gradually become an essential element of biochemical processes in nervous system. In this case the person is forced to use the drugs to maintain his health condition in a “normal” state. The nature of endorphin-enkefhalin system is such, that it is not able for self-recovery. It means that without proper repair of this marred by drugs system, to defeat craving for drugs is impossible. A person with impaired endorphin system is vulnerable to stress, to situations where even the slightest provocation can cause him to resort to drugs again. Drugs cause the death of the brain cells. Perhaps this is the worst damage they cause. Degree of the brain damage from drug abuse defines the prognosis of recovery. As people say, if God wants to punish the man, he takes his sanity. Sometimes detrimental changes in the brain of a drug addict are so great that he is not able to realize the problem and need for treatment. And even if he is, the deformed psyche, expressed in loss of willpower, doesn’t allow him to complete the treatment and refrain from using the drugs. But this situation comes to extreme cases. More often addiction creates a center of addiction in the brain, or so-called a generator of pathological activity for drug craving. We all know what epilepsy is. This disease is characterized by periodically recurrent seizure syndrom, when a small portion of brain cells (it can be quite small in size), figuratively speaking, "going crazy". From time to time they reach the level of excitation which covers the whole brain. As a result, a person loses consciousness, falls down, the total muscle spasms make him convulse. When he comes to, he doesn’t remember what happened to him. In medicine these "haywire" cells are called the generator of pathological activity. About the same generator is formed in case of a drug addiction. This is a generator of attraction to drugs, self-excitation of which with different periodicity may also cover the entire brain and cause an uncontrollable, overpowering desire to take drugs. The activity of the generator leads to a constant, obsessive thoughts about drugs. Without treatment, this generator can persist for years, even if the person does not use the drugs during that time. Along with the formation of the generator of attraction to drugs, there is another type of brain damage from drug abuse, to the nervous system of an drug addict. Regular drug poisoning leads to severe changes in metabolism in the cells of the nervous system and especially in brain cells. These cells contain the so-called neurotransmitters - the active substances, the presence of which in inter-neuron synapses provides the transmission of electrical impulses to effectuate the functions of all kind of nervous activities, including the higher nervous activity of a man: mind, emotions, feelings, willpower, and so on. The constant presence of the outer psycho active chemical substances badly affects the processes of neuro transmission in the brain. Altered brain reactivity reflects in changes of well-being and behavior pattern of an addict. He becomes lethargic, listless, emotionally limited. Gradually he is losing interest in life, his cognitive abilities dwindle. Against this background, frequent outbreaks of anger and irritability become regular. It's fair to say, that shortly after the “fix”, the deficit of neurotransmitters in an addict's brain temporarily shifts back to “normal”, and a man feels better for a while. However, with each subsequent dose of tnarcotic, the further infringements in neuro transmitter systems of the brain ultimately become more and more profound. During the "withdawal" the most unpleasant sensations are connected with an abrupt plummet of content of neurotransmitters in the brain. For instance, the dopamine content due to severe lack of transmitters cant be utilized in time and may exceed the normal level few times. The excessive amount of dopamine is a real poison to the brain. Drug withdrawal (especially opiate withdrawal) physically and mentally is a very disruptive condition. It may last from few days to a few weeks. More information about opiate (Heroin, Methadone) withdrawal you can find on this website by visiting the pages regarding “Opiate Addiction”. Within a few days the level of neurotransmitters gradually return to normal, though not completely, and the symptoms of drug withdrawal subside. But then another danger is waiting for the patient - the so-called "dry withdrawal". After some time, when seemingly all is over, sometimes without any reason, but mostly after the stress, the ballance of neurotransmitters breaks down again. The patient srarts re-experiencing mental discomfort, nervousness, sleep disorders, hot-and-cold flashes. aggravated attraction to drugs. Drug addiction, like many other chronic diseases, is characterized by fluctuating course, with alternate “ups an downs”. Most of the failures happen exactly on the peaks of these “ups”. All drugs have the toxic effects. Simply speaking, the drugs damage the body's cells. This damage a person perceives as a pain. To fight this pain he has to take more drugs. And then situation comes to a vicious circle: the higher dose of drugs the more pain they cause, the more pain the more need to take the higher dose. 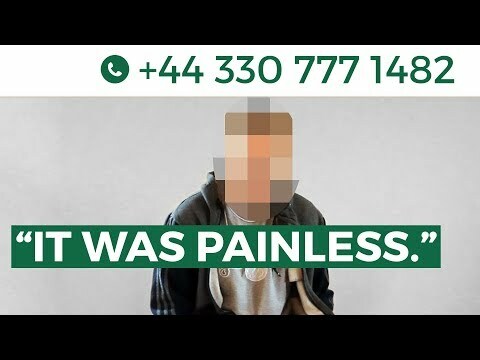 As a result, the euphoric effect of the drugs, which was so attractive at the beginning, quickly disappears and leaves an addict to continue taking the drug just to avoid the pain and let him somehow to function “normally”. Here we have considered only the major changes that the drugs cause in human body. There are the others. As we have seen, drug addiction is a complex disease, which is fixed at many levels of the organism. Simple and quick methods, such as coding or isolated psychotherapy are absolutely ineffective. Drug addiction requires a serious multi-stage treatment at all levels. Professionals from our addiction treatment clinic were on business trip all around the world. USA, Great Britain, Germany, Switzerland, China, Czech Republic, Mexico are countries where they have been trained or shared their experience at the best clinics. The latest pharmacotherapy, apparatus for correction of imbalance of endorphins (natural hormones of pleasure) in the addict's brain , N.E.T. (Neuro Electrical Therapy), Information Therapy directed to erase the memory for drugs, range of hypnotic techniques, means to normalize metabolism and restore immunity, pharmacological (use of narcotics antagonists) blocade, mental blocade, counseling therapy directed to forge a new identity with mentality of a winner, not a whimpering looser - all these implements are in the arsenal of our addiction treatment clinic. Opportunity to send a patient at any hospital all around the world, an opportunity to be treated by any method known in modern medicine, rehabilitation in different countries, cooperation with leading national health centers and institutes for drug addiction treatment - all this gave us an opportunity to defeat the disease, even if it comes the hardest case. We have over 18 years of experience. Our clinics operate in Russia, Serbia, Mexico. We have consulting point in the UAE. The total number of beds in our clinics is 100. Over 300 medical professionals have saved and returned thousands of patients to a normal, happy life and go on doing this every day. People's saves lives, their drug free lives are confirmation of our words. We affirm that the addiction can be cured!